Prism is a lightweight, extensible syntax highlighter that’s used in many popular websites like http://drupal.org for syntax highlighting. The core is as lightweight as 2k and extended for multiple languages with each language pack is around 0.3 to 0.5k in minified version. 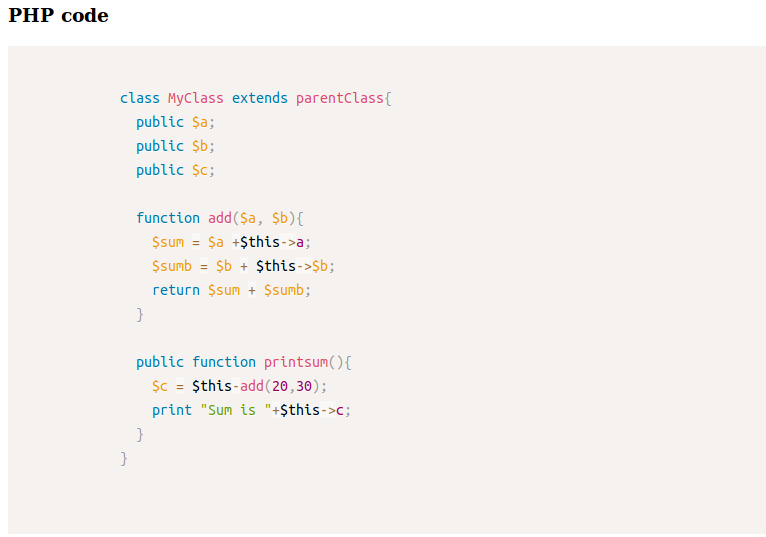 It is also extensible means you can define your own language for syntax highlighting. Prism does its best to encourage good authoring practices. Therefore, it only works with <code> elements, since marking up code without a <code> element is semantically invalid. According to the HTML5 spec, the recommended way to define a code language is a language-xxxx class, which is what Prism uses. And the output would be like the below.